My sis-in-law is a lampwork bead maker. 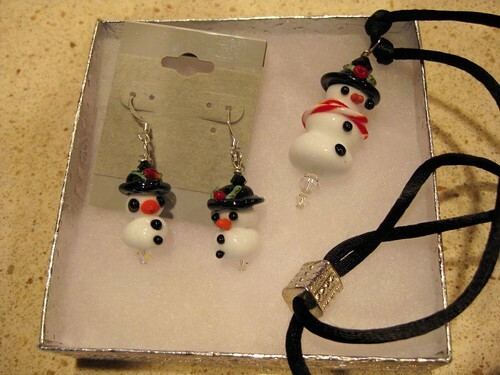 She made these beads and assembled them into jewelry and then sent them to ME for a Christmas surprise. Aren’t they cute?